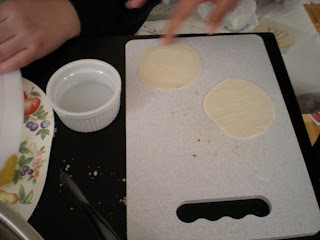 Here is something fun that will preoccupy your guest while you're cooking the main dishes. This appetizer is known as gyoza. It is not well known where this dish is originated whether it is from China or Japan. This appetizer is irresistible, so eating one gyoza won't be enough. 1. In a medium pot, bring water to a boil with salt added. Add shredded cabbage until tender but still crisp. Plunge into cold water, then remove and drain. 2. 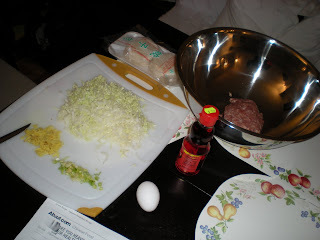 In a medium bowl, combine pork, cabbage, green onion, egg, soy sauce, ginger and sesame oil. Mix well with hands. 3. 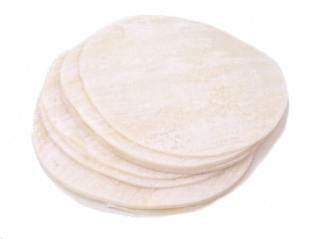 Lay a gyoza skin. Wet all the edges with water. 4. Place a tsp of filling in the middle of the skin. Fold sides up to form a half-circle, and pinch the edges to seal. 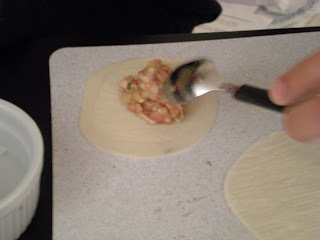 Continue the same process for the rest of the gyoza skins until filling is gone. 5. 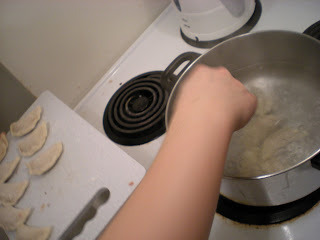 Add water to soup pot and bring to a boil. Add the gyoza and let it cook for 5-7 mins. Take one out and see if the inside is well cooked. Serve with ginger sauce. 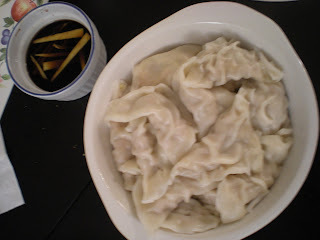 In Chinese cuisine, gyozas are usually steamed to keep its skin texture. As mentioned, good recipe but you boiled those gyoza.